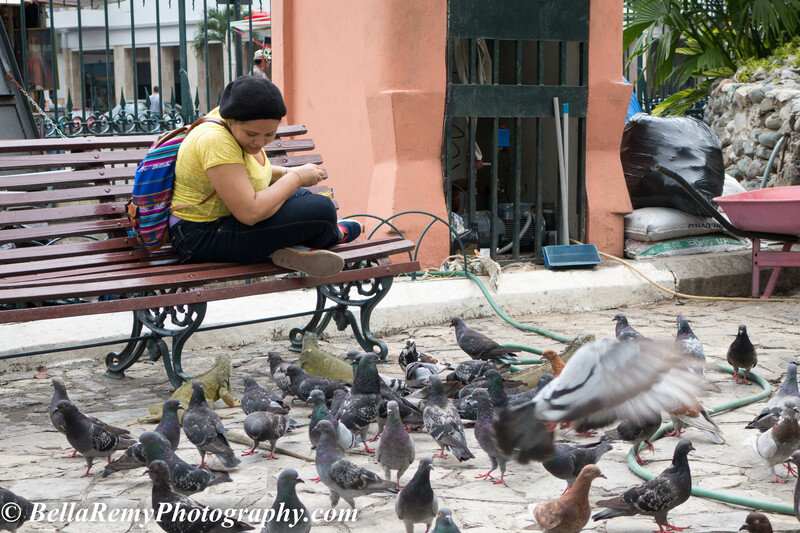 Many parks around the world are well known for the number of pigeons that are around. Flying overhead and landing on heads and arms, all for a handout. 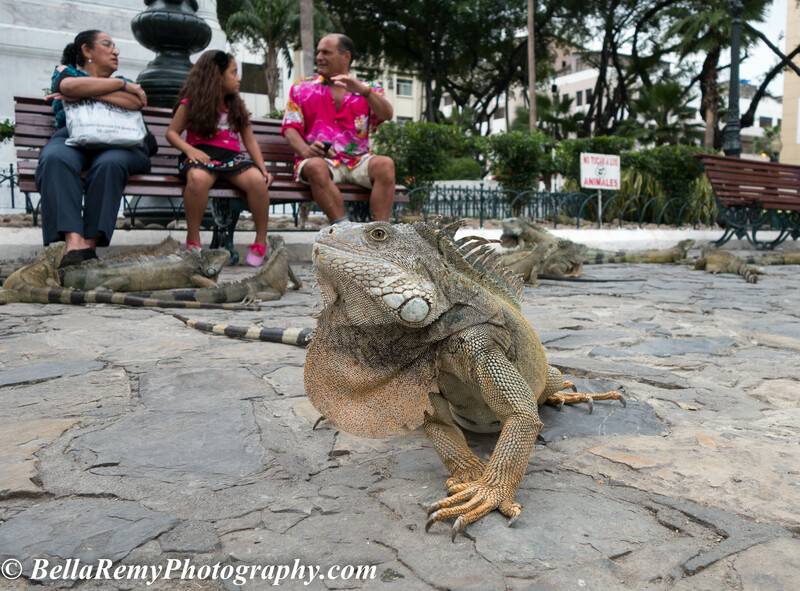 But in Guayaquil, the Parque Seminario, better known as Iguana Park located at 10 de Augosto Avenue and Chile Avenue takes feeding wildlife to a new extreme. 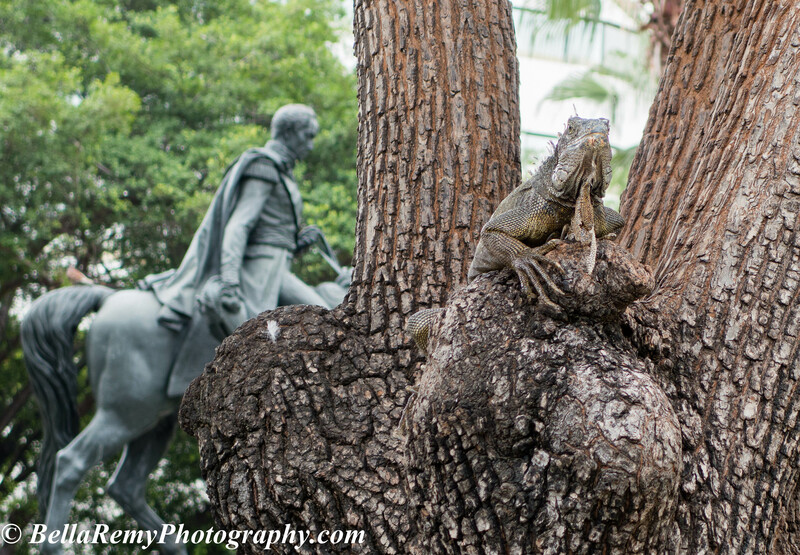 This park is home to hundreds of iguanas in all shapes, colors and forms. Some of them are up to five feet long. They lazily lounge around the park visitors and hang out in the tree branches above. That is, until someone decides to throw down some bananas for them to feast on. 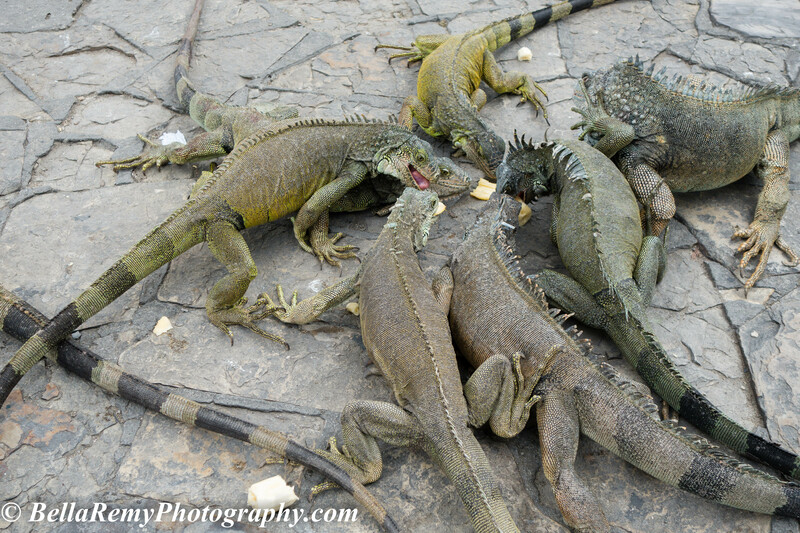 A mad dash to the delicacy and the iguanas pile up while they dine. If you’re in the way, watch out as they won’t hesitate to run over your foot. Rather inquisitive and quite tame, a little point and shoot camera got me great close up captures of these Jurassic park like creatures. If you’re stopping over in Guayaquil on your way to the Galapagos, make Parque Seminario a must visit during your stay. It’s a great beginning to the wonderful adventure that awaits you in the islands. Thank you so much Waelben! You’re probably the only person I know that would call an Iguana beautiful. 🙂 Actually, I think they’re pretty darned cute. They so dominate the park. This is their castle, and believe me they let the people know that they rule. Thank you so much Jim! Oh to be an iguana, laze around in the sun all day, and have passing tourists toss some food my way from time to time, my kind of living! I thought it was really fun and should have spent more time with them. But the day was getting long. Cute in a Creepy sort of way:) Happy Hump Day! Ha Ha! You are too funny Renee. Oh my goodness! These guys are pretty fascinating. It has got to be strange to see such large reptiles cruising around like this, a far cry from feeding ducks!! I like the shot of the three people on the bench paying them no mind, lol. I’ve witnessed feeding Pigeons in Venice but hadn’t heard about the Iguana feedings in the Galapagos. Great share, thank you! The three individuals you captured make me think of a reality show casting, he he. Thanks for bringing us a long with you! Ok, the funny vignette is that a black squirrel appeared and the girl jumped up to chase the squirrel shouting “ardilla..ardilla” (squirrel in Spanish.) Who cares about iguanas. If I ever go back, I’m certainly taking a bundle of bananas with me. Wow, that is pretty funny. That would be so awesome to feed Iguanas like that. They’re like little dragons. I think I might be a bit intimidated by how big they are.